At LHC Group, we pioneered the hospital partnership model nearly 20 years ago. We recognize that every partner – and every market – is different. That’s why we work side-by-side with our hospital partners to craft custom home health solutions based on each partner’s individual needs. We can help grow your existing home health agency or help you build a world-class agency from the ground up. We partner with the nation’s leading hospitals and health systems to seamlessly transition patients from the acute to the post-acute setting. Together with our partners, we bring a patient-centered continuum of care to the communities we serve, reducing avoidable readmissions, improving clinical outcomes and enhancing operational performance. 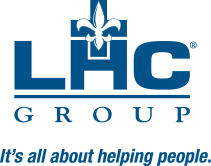 Find out why more hospitals and health systems around the country choose LHC Group as their post-acute care partner. Our corporate development professionals will work with your organization to develop a custom solution to meet your post-acute care needs. or complete the form on this page.